Lydia Colburn is a young physician dedicated to serving her village in the Land, an undetectable island in the South Atlantic Ocean. When Lt. Connor Bradshaw’s parachute carries him from the world war to Lydia's hidden land, his mission could expose her simple society. As Connor searches for a way to return to his squadron, his fascination with life in the Land makes him protective of Lydia and her peaceful homeland, and Lydia’s attraction to Connor stirs desires she never anticipated. But will they be able to keep the Land hidden? The Land Uncharted weaves past and future in this inspirational frontier-style romance with a slight Sci-Fi twist. Perfect for fans of dual-timeline and time-slip stories. 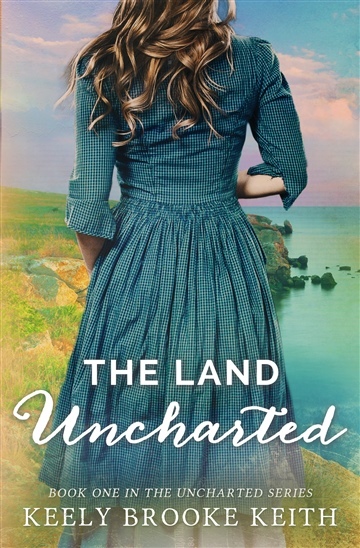 If you enjoy the rural setting and wholesomeness of Amish Fiction but are looking for something new, read The Land Uncharted today. This free ebook is a digital sample of The Land Uncharted (Uncharted, #1).